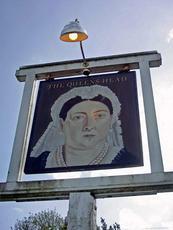 The Queen's Head was our first and favourite pub of the day in Hertfordshire yesterday. It has 2 rooms - a public bar and another room which was hosting a function yesterday. There had been a beer festival the previous weekend. The pub also has a fair sized garden to the side. Both landlord and staff are friendly and knowledgeable. Toilets are clean. The ale selection was Maldon Puck's Folly & The Hotel Porter, Mighty Oak Maldon Gold & Fullers London Pride. Ciders and perries were Westons Old Rosie, Rosie's Pig & Country Perry, Oakham Twisted Tree, Oaple & Orchard Reserve, Troggi Sweet, Johnsons Harry Masters, Cider By Rosie, Olivers Draught & Hartlands Farmhouse. A bit off the beaten track. But well worth the effort. 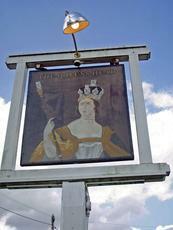 Excellent village pub which regularly features among the CAMRA Essex / Herts award winners. Four real ales were available, and I had an excellent couple of pints of Cassowary from the Tring brewery. Plenty of dog lovers were in the pub and there seems to be a supply of free dog biscuits on tap. A nice touch at the end of the evening was that the barman rushed outside with my jacket which I had inadvertently left behind on my seat. That's what I call customer care. If I lived a bit closer this would be one of my regular haunts. 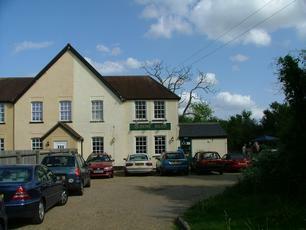 Hi, great pub very clean with friendly staff, all beers tried were spot on and reasonable prices, range of ciders also good, tidy large garden and some parking. wish this was local. Just revisited this page to see how the reviews are going since my first post back in 2005. 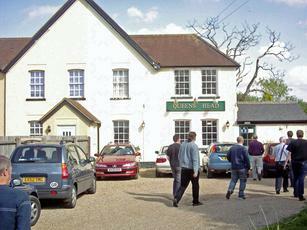 This is my 'local' and is well worth the weekly trips, either by car, walking or cycling, depending on the weather. Always has at least 3 ales on, either on the handpumps at the bar, or straight from the casks in the cellar. Maldon Gold is almost always on tap (and my beer of choice), together with London Pride, and a mild. Third weekend of the month mini beer fests continue, with 6-8 additional beers. Ciders and perries also an attraction. The pub has been extended and now has a lovely conservatory overlooking the garden and the bar has been lengthened, with the aim of having casks directly at hand, rather than having to draw from them in the cellar, as at present. August bank holiday coming up and the second major beer festival of the year at the Queen's Head will be a weekend for walking or cycling over, so that I can sample and enjoy the 15 or so ales that will be available - definitely something to look forward to, together with the BBQ and live music! 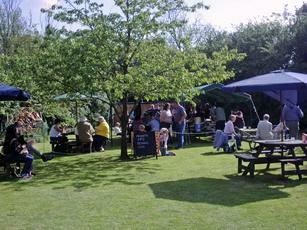 Beer festival on the Bank Holiday weekend plus BBQ and live music.